We’re loving Hot Plates, East London’s latest pop-up with a social conscience. 100% of the profits will go to children’s charity fundraising platform Raise Your Hands. Dinners self-sizzle premium cuts of beef on hot plates installed in each table. 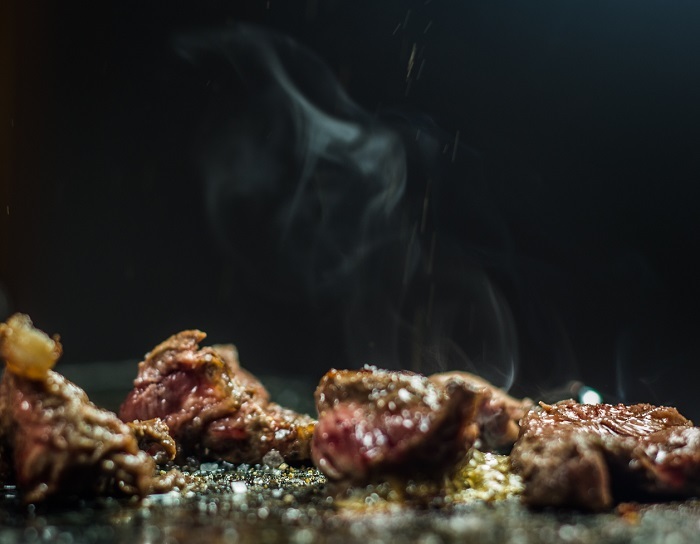 Each chunk of meat has been marinaded by ex Gaucho staff for over 6 hours in 4 different homemade mixes including Bulgogi, a sweet and salty Korean dish of sesame, spring onion and soy, and Mexican, a refreshingly zingy dish combining lime and ancho chilli. With a menu created by ex-Masterchef contestant Charlie Wethered, a rave review from Jonathan Ross and the chance to raise money for a good cause, you basically have to go. Hot Plates will be at 84 Great Eastern Street from Wednesday 10 – Saturday 13 February. Sizzle, sizzle.